Migrating can seem like a very daunting process and it of course needs careful planning and execution to make sure the migration to Shopify happens smoothly. 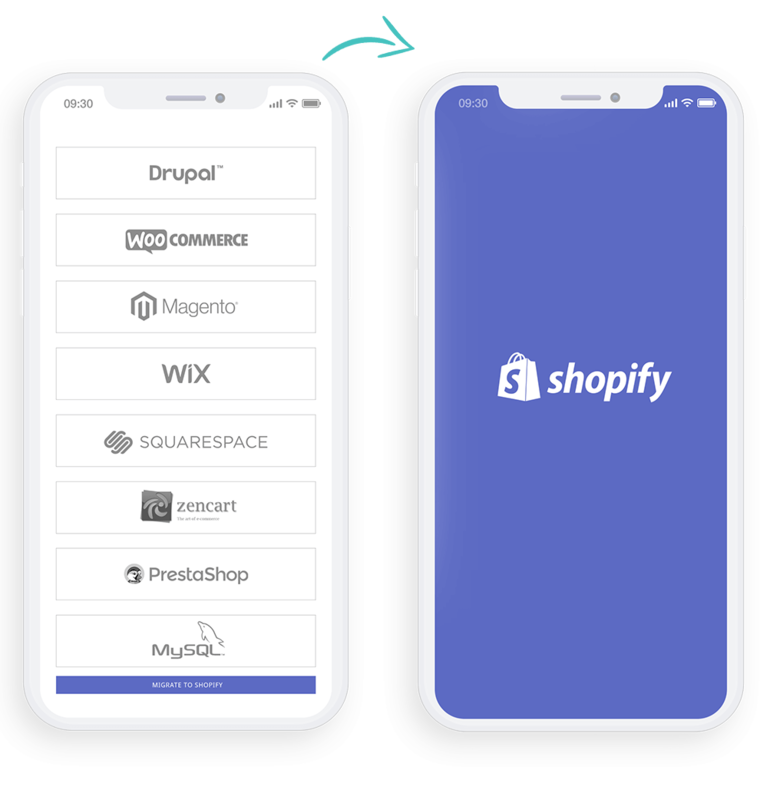 Our team have successfully migrated clients from a variety of platforms and understand all the components that make a successful migration, from taking care to evaluate your current data paths to the monitoring of data once moved over to Shopify. Our team will hand hold you through every step of the way making sure the process is quick and without error. We spend time to really get to know your data before starting any migration. We then monitor your data for over 4 weeks to make sure it is running effectively. We are able to migrate across your customers including details such as names, shipping addresses, billing addresses, telephone numbers and emails. We are able to migrate across your orders including details such as order numbers, ordered products, customer details for the order, taxes and total prices. We are able to migrate across your products including details such as titles, SKUs, descriptions, photos, and weights. With Shopify you do not need to worry about expensive upgrades and fixes. Upgrades are automatic so you are always on the latest version. 24/7 support via online chat, phone or email when you need it so you can rest assured that your backs always covered. As your business grows so will your infrastructure – instantly. Whether its key sales periods or continuous growth, the platform infrastructure will respond to your needs. Our migration process includes redirecting all of your old URLs to their new locations as well as your meta data. Our team will also monitor your urls for 4 weeks post launch. Smart Cookie Design really delivered for us on our site. We moved from Magento over to Shopify and had a large complex store which they handled easily and professionally. They spent a lot of time before we fully engaged with them finding out all the details of our site, offering great advice and sensible troubleshooting wherever we could potentially encounter any issues before they became problems.